A relatively level double track with sections of packed soil, wood chips and gravel. Three miles east of downtown Tahoe City, at Dollar Point, on Hwy 28 turn left on Fabian Way across the Hwy from the XC skier sign and 7-11 market. 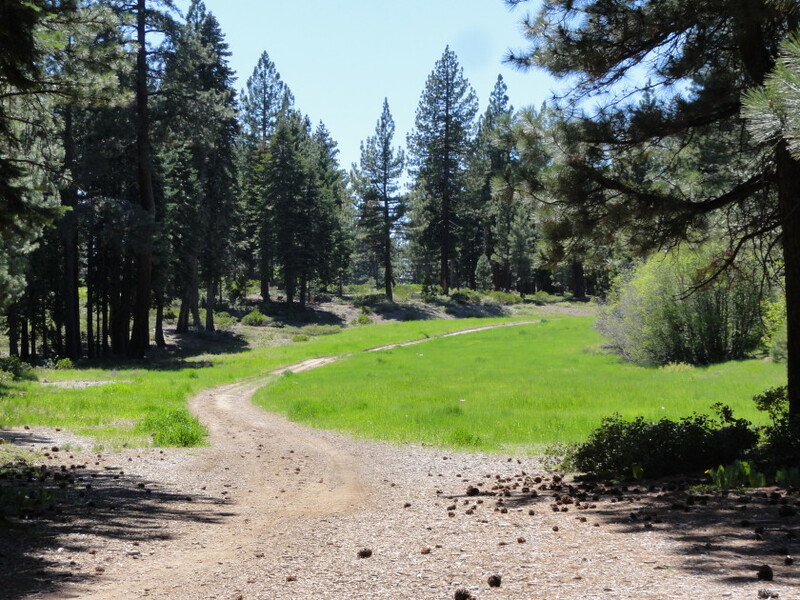 Turn right on Village Rd., left on Country Club Drive and you will arrive at the Tahoe XC trailhead. 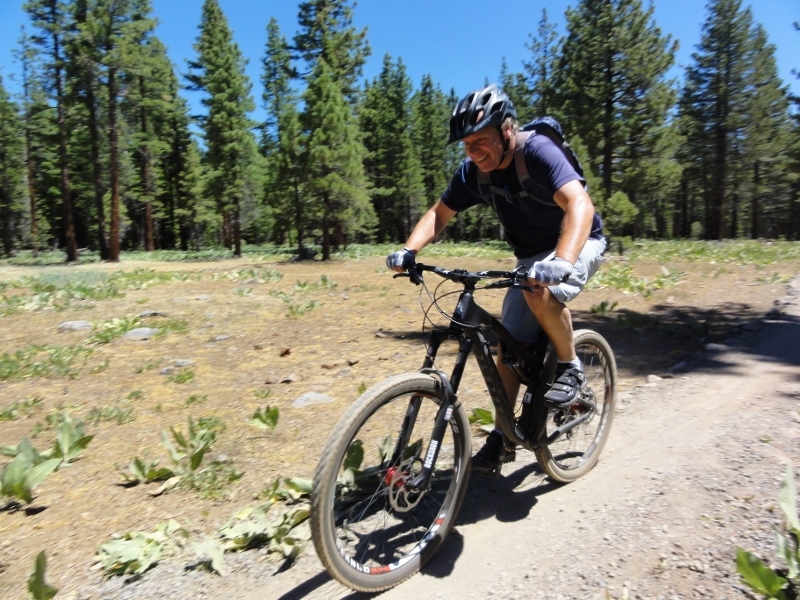 This is a relaxing ride through the forest on a double track located at the Tahoe XC Ski Center – an area with the most concentrated Green and Blue rides in Tahoe. This is an ideal location for the entire family, people being introduced to mountain biking, and for all ages and skill levels. There are rides that travel through Burton Creek State Park. 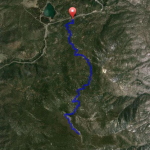 If you are new to this location, it is wise to follow the trail maps located on the trails because there are so many single and double track trails that it is easy to get disoriented. However, this area is very popular among runners and bicyclists who on any given day, you can ask them for assistance. At the trail head of the XC center, you will see what looks like fairways. When the area was developed for residential housing, the original developer planned a golf course as part of the community’s amenities. It did not get developed but the clearings remain. 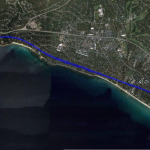 In 1999, the Tahoe City Public Utility District granted use for the development of a cross-country ski area on the property. In the winter there are 22 trails for skiing and snowshoeing, rentals and instruction available. With the popularity of mountain biking, this area with a trail network has become very popular.